Earthquake disaster movie in the grand old tradition of The Towering Inferno and The Poseidon Adventure, starring Dwayne Johnson and Carla Gugino. It’s been a long time since I watched a proper disaster movie. There was last year’s excellent Into The Storm, but focusing on the impact of a tornado on a small farming community, it wasn’t as full blown as this. This is the full monty: when the San Andreas fault blows big, the whole of California will be at threat. We all know it’s a ticking timebomb and one day the events depicted in this movie will come to life .. we just don’t know when, which is what makes it all the more enthralling, of course. Like a car crash writ large, you can’t take your eyes off it and that’s from the comfort of a cinema seat back in Blighty where earthquakes rarely do anything more than rouse us into making jokes about the earth moving in other ways. I cannot imagine watching this in LA or San Francisco and wanting to carry on living there. Dwayne Johnson has matured into a decent action movie actor over the last few years and is on good form here, ably supported by Carla Gugino (Sally Jupiter in Watchmen) playing his soon-to-be ex-wife and Alexandra Daddario as their daughter in a role more reminiscent of Jack Bauer himself than that character’s hapless daughter, Kim. Did I really say “if” ? There’s a nice pace about this picture. Unlike most modern “event movies”, it isn’t shot on a shoulder-mounted steadicam, but instead filmed in the more traditional way using old school methods and it works beautifully. The (massive amount of) CGI effects are flawlessly integrated as you’d expect and some of the sweeping cinematography is nothing short of breathtaking. With wave after wave of quakes all across the state, there’s plenty of scope for action close-ups of collapsing buildings, falling rubble and dust clouds as well as lots of overhead, widescreen scenes of destruction, with especially impressive ripple effects coursing across rural fields, city streets and seafront harbours alike. 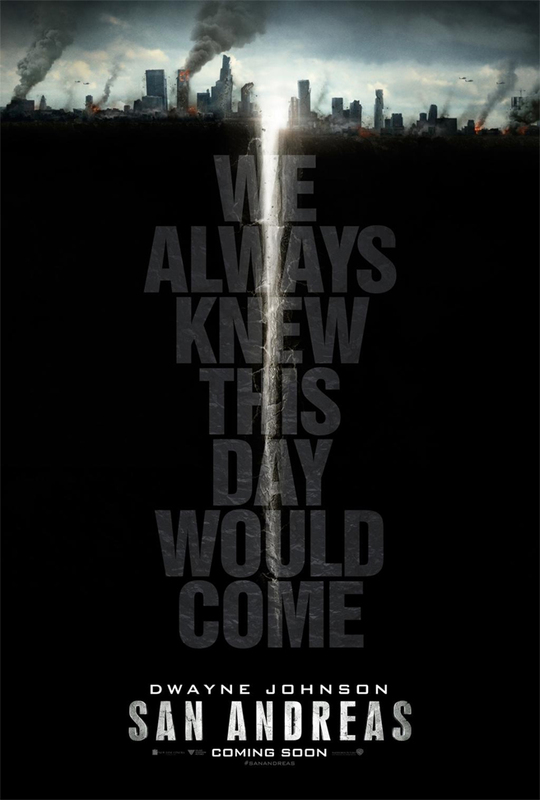 What follows is a breathless rollercoaster ride moving between the father, the wife, the daughter and a team of seismologists at the local university, CalTech, who’ve been warning everyone for years of the impending danger of “the big one”. Like most action thrillers, some of the close shaves and near misses can seem a little too fortuitous, but then they wouldn’t make a movie about the guy who gets crushed in the first ten minutes, would they ? You have to suspend your belief somewhat and put your trust in Johnson to save his family, the day and – seemingly – everyone around them. He’s no superman, but he’s damn close ! There’s a whole other back-story to the family unit and it’s one with a lot of baggage, especially for the father figure. No spoilers from me, as ever, but suffice to say he has to face his demons to overcome them at one point and if there’s a criticism of the movie, it’s that this plot-point is a bit obvious, though well handled overall. The saving grace is there’s some proper character development and you end up rooting all the more for every member of the family in the end. The female leads are both strong and forthright, the daughter especially, and there’s some great scenes between her and two English “chaps” she happens to meet on the fateful morning. The banter is sharp and realistic and things don’t pan out quite how you’d expect, adding just another element to keep you on your toes. Special mention must go to the SFX department. There’s some seriously good work here, with spectacular set pieces throughout and real jaw-dropping moments that put you at the heart of the action wondering what the hell you would do if you were in that position. 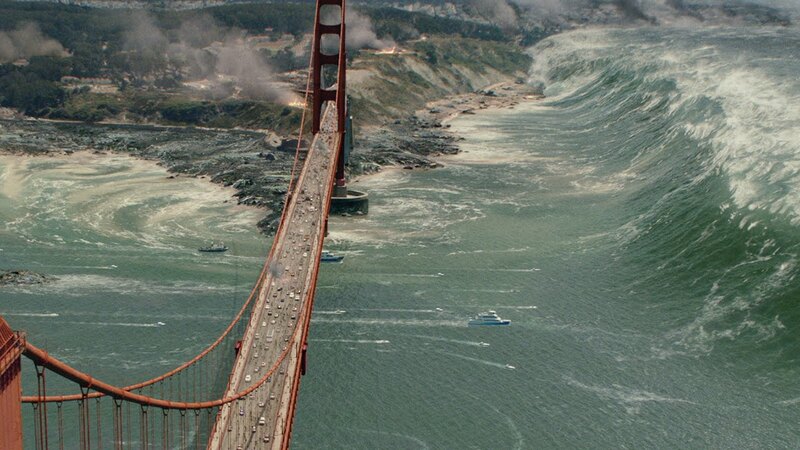 … which of course is why San Andreas makes such a great popcorn flick. Overall, this is a very good disaster movie for the modern age with strong characters, a decent plot, some interesting curve balls along the way and stunning visuals. Not to be missed if you’re into action thrillers. 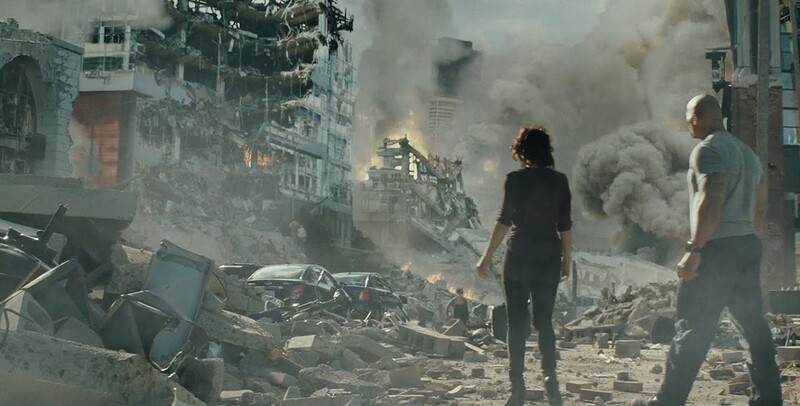 This entry was posted in blogging, Media, Movies, Opinion piece, Review and tagged action movie, blockbuster, disaster movie, dwayne johnson, film, film review, Kylie, movie, movie review, movies, san andreas, SFX, the rock, thriller by rigger67. Bookmark the permalink.